Enjoy work and quietness. 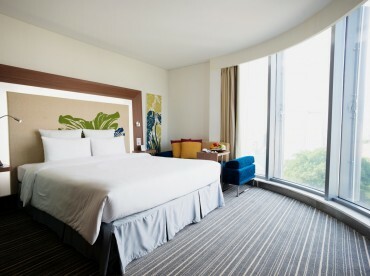 With modern design, the Superior Room provides ergonomic comfort and high-end facilities, with either a King size bed or 2 Single beds, LED TV, free WIFI, free access to fitness center, sauna and swimming pool. Up to 2 adults and 2 children.